The heat of the summer months invites you to forget about the conventional cinemas and enjoy the magic of an Open-air cinema under the stars. 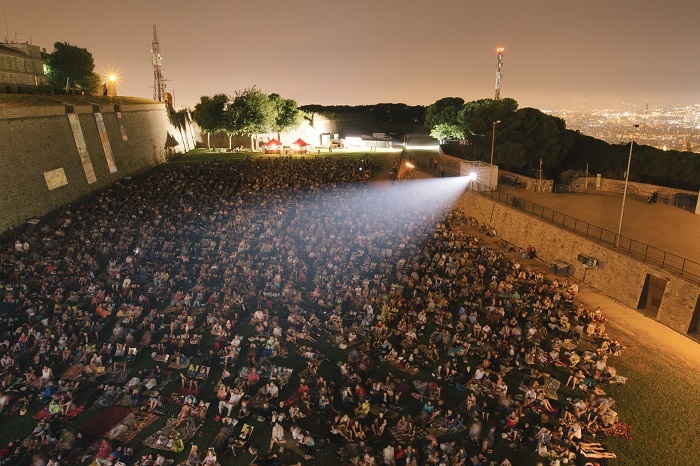 The Cinema a la Fresca festival offers, next to the imposing Montjuïc castle, an eclectic program that combines the most recent movies with great classics and author cinema. In addition, each film session is accompanied by a short film or concert and the huge esplanade of the castle allows you to have a picnic. 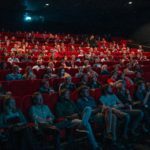 If you prefer the beach, the Cinema Lliure a la Platja festival projects a selection of high quality independent films that you can enjoy for free on the beach of San Sebastián. During the summer most of the neighbourhoods of the city celebrate their Popular festivities. The best known is La Festa Major de Gracia, which in 2017 celebrates its 200th anniversary with a spectacular program that includes popular meals, concerts, correfocs, castellers and many other activities that combine tradition, culture and fun. 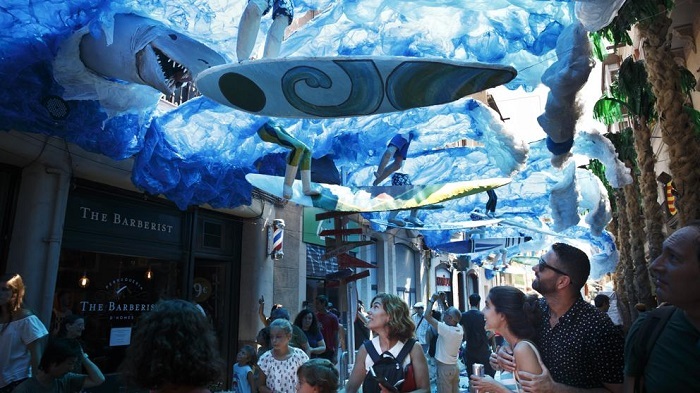 In addition, each year the streets of this neighbourhood get adorned with beautiful decorations that make the festival one of the most beautiful and important ones in Barcelona. Just a few days later, still with the hangover of La Festa Major de Gracia, the district of Sants lives its own festivity with endless activities that you can’t miss if you want to know the true essence of the city. Another major appointment is the popular festivity of El Raval (the districtin the surroundings of the hotel which is celebrated in honor of la Virgen del Carmen and also has a wide range of activities for all ages and tastes. 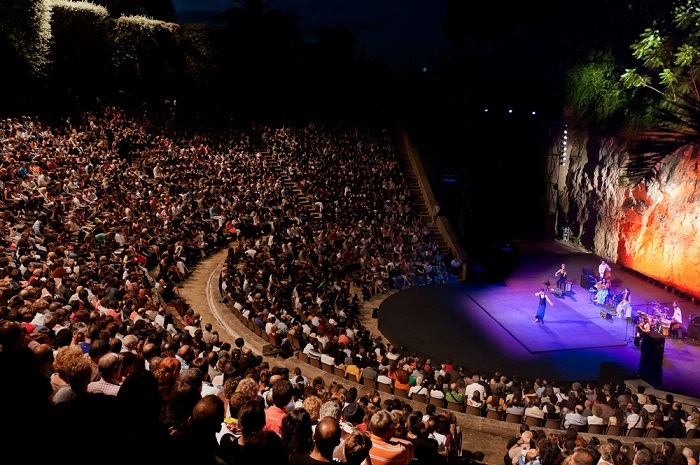 Performing arts take Barcelona in July with the Grec Festival, a cultural event that includes more than 70 theater, music, dance and circus shows that have as main stage the beautiful Greek theater of Montjuïc, but are distributed throughout other places in the city. 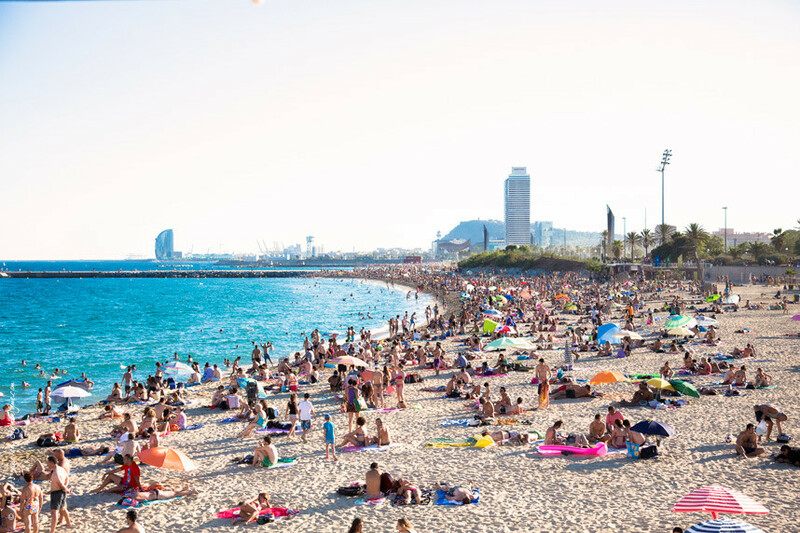 One of the great advantages that Barcelona offers in summer to its visitors is that some of its beaches are just a few minutes’ walk from the city center. The most famous one (and closest to the Hotel Arc La Rambla) is Barceloneta beach, located in the most famous maritime district of the city. 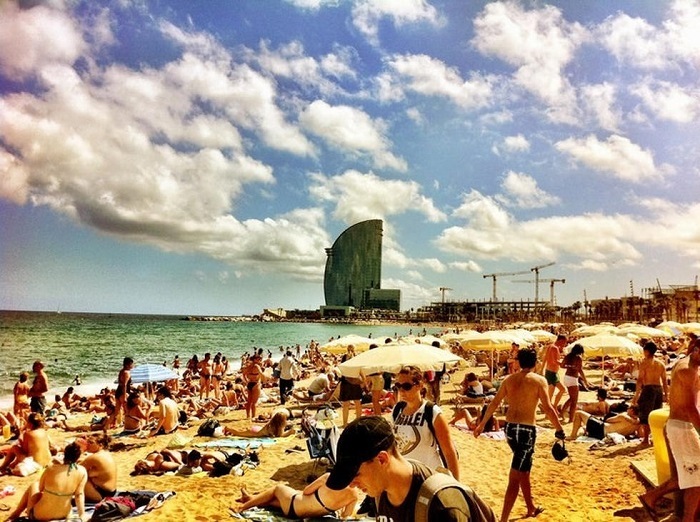 In addition to enjoying the sun, the sand and the calm waters of the Mediterranean, in Barceloneta you will find some of the best beach restaurants and several beach bars where you can have a tasty drink while enjoying the sea breeze. Other outstanding beaches of the city are: Icaria (in the Olympic Village), Mar Bella, Bogatell and the beach of Sant Sebastià. If you’re not into beaches, in Barcelona you will also find a wide range of swimming pools where you can relax, sunbathe and take a refreshing bath: Montjuïc, Can Dragó, Torre de les Aigües … You have all the information in our post about the best swimming pools in Barcelona. If you visit Barcelona in summer you cannot miss the explosion of lights, colour, music and water offered by the Magic Fountain of Montjuïc, in a free show that has become, over the years, an icon and one of the main tourist attractions in the city. 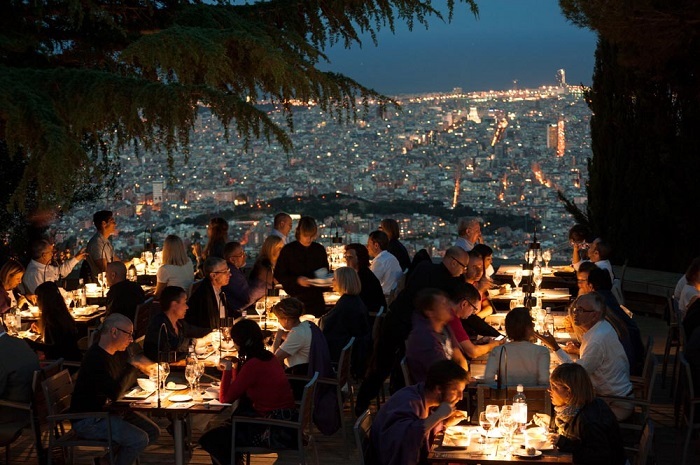 The Dinner with Stars in The Fabra Observatory allows you to enjoy a unique gastronomic experience that combines scientific dissemination, astronomical observation and a delicious dinner served in one of the most privileged viewpoints in Barcelona. The evening begins with the dinner while enjoying the beautiful views of Barcelona as a background. Next, a popular scientific lecture, a visit to the museum and, as an ideal ending, you can observe constellations, stars and part of the solar system through a telescope of 1904 (one of the largest and oldest in Europe Still in operation). The history of Parc de la Ciutadella is closely linked to the history of the city. The park was built on an old military citadel (hence its name), and was the setting for the Universal Exhibition in 1888 and currently houses the zoo and the Parliament of Catalonia. With the imposing Arc del Triomf presiding over the entrance, Parc de la Ciutadella is an oasis in the heart of Barcelona (it is the largest park of Barcelona with about 18 hectares of extension). It has large wooded areas, gardens and even a lake in which you can take a pleasant boat ride. Designed by Gaudí at the beginning of the 20th century, Park Güell has become one of the main tourist attractions in Barcelona. 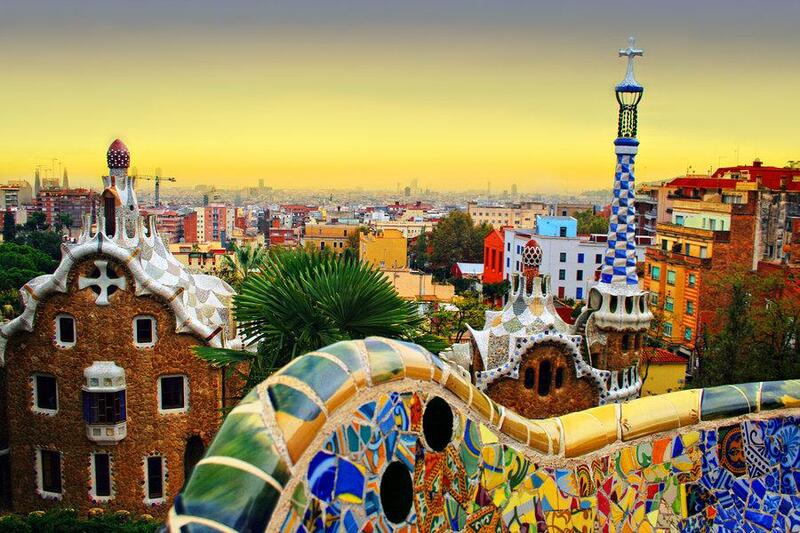 The Catalan genius let its fantasy run free to perfectly integrate the modernist architecture with the nature, through a spectacular set of terraces, mosaics and sculptures that will make you feel just like in a fairy tale. Among all of them it highlights the charismatic ceramic salamander that presides over the main entrance and which has become one of the icons of Barcelona. A Venue full of magical corners from which you can also enjoy the spectacular panoramic views of the city. The oldest and one of the most beautiful and romantic Parks in Barcelona. Originally designed in 1792 by the Italian engineer Domenico Bagutti, it was opened to the public in the 1970’s after different renovations to provide parterres, fountains, squares, temples, sculptures, large trees and even a waterfall. But the Park stands out especially for the beauty of the neoclassical garden that gives name to the Park, famous for being the stage of the film “The Perfume”. Its exceptional design and the charm of its decorative details make the labyrinth an architectural marvel where getting lost is an authentic pleasure. 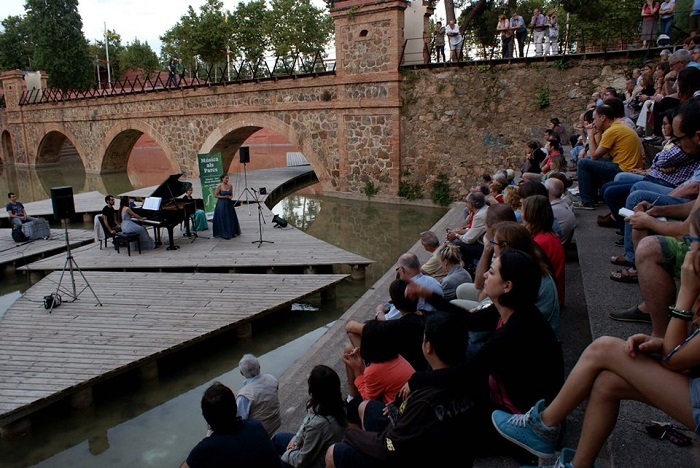 During the summer music and nature merge in Barcelona with “Música als Parcs”, a set of free concerts held in the city’s main parks and gardens. Here is the 2017 full schedule. 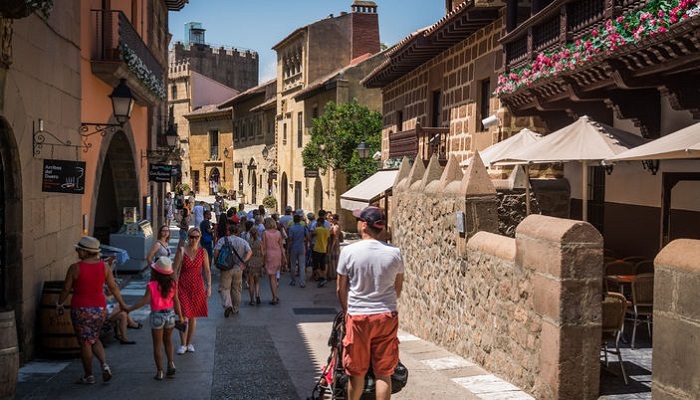 The Poble Espanyol will allow you to discover, in a single space, the essence of architecture, traditions and art of Spain through real size reproductions of buildings of the different regions of the country. The venue was built on the occasion of the Universal Exhibition held in Barcelona in 1929 and is not only an authentic outdoor architectural museum, but also a small town where many activities take place throughout the year. 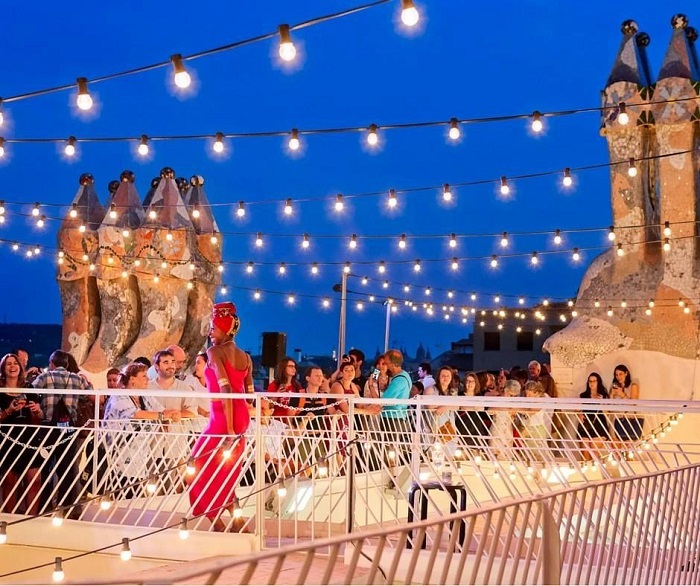 The Magic Nights at Casa Batlló offer you a unique opportunity to enjoy excellent live music while having a drink on the roof of one of the most beautiful and emblematic buildings in Barcelona. 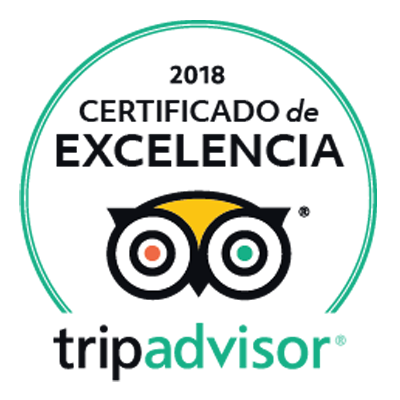 If you wish, you can also hire a night visit (before the concert) to the building in which you will discover all its secrets and the rich imaginary of Gaudí. 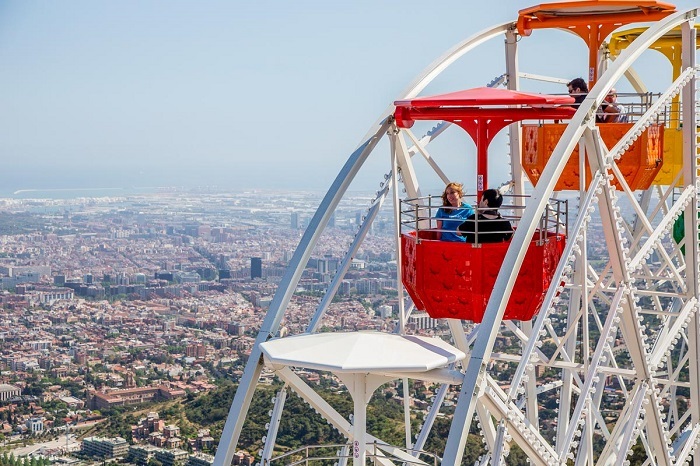 The Amusement Park of Tibidabo, one of the oldest in Europe, has resisted perfectly the passing of time thanks not only to the fun for the whole family of their attractions, but to the magnificent panoramic views of the city that offers from almost any point of the venue. In addition, you can enjoy an extra entertainment by going up with the funicular. 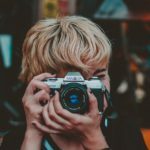 We have presented you the activities that, in our opinion, are the best plans to enjoy the summer in Barcelona, but there are many more! 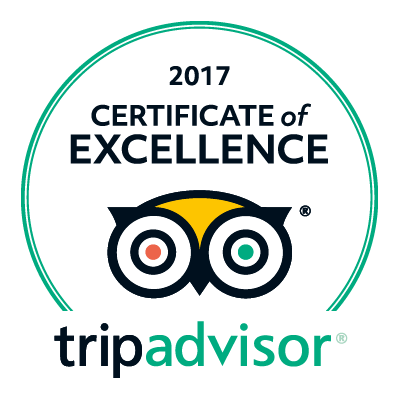 If you want to have more information or if you have any doubts, do not hesitate to ask our staff, we will be happy to help you!